Cydney has a master’s from Columbia University’s Graduate School of Journalism, where she served as president of the university’s chapter of NABJ. She has completed internships with CBS News in New York and Atlanta. She has also worked as a freelancer for NBCBLK. A graduate of Spelman College, she was the editor in chief of the college’s chapter of Her Campus, an online magazine focused on issues facing women in college. This fall, she will participate in the News Associates Program at NBC. 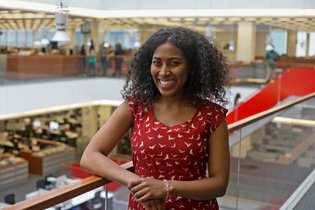 She is a member of the National Association of Black Journalists.